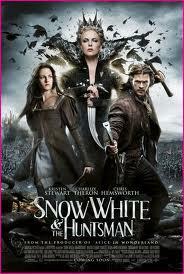 桃園 學英文│Snow White and the Huntsman /公主與狩獵者 -- 形容詞也可變動詞喔 ! Mirror: You shall never again weaken or age. e.g. She blackened her face with coal. e.g. Your flowers brighten the room. e.g. The rain dampened our spirits. e.g. Wait for the clay to harden. e.g. It was just a joke. Loosen up. e.g. We were all saddened by the news. Quiz Time: What is a sharpener ??? Do you know any other adjectives that can be changed into verbs ? 此分類上一篇： 桃園 學英文│The Avengers/復仇者聯盟--你有「團隊精神」嗎 ? ?